Japchae - Korean noodle dish with sweet potato noodles and vegetables. Learn how to make Japchae in 30 minutes with this easy Japchae recipe. Japchae (also spelled as chap chae) is my favorite Korean noodle dish. I love Korean recipes, they are healthy, spicy and absolutely delicious. In this recipe, you will learn how to make authentic and simple Japchae. 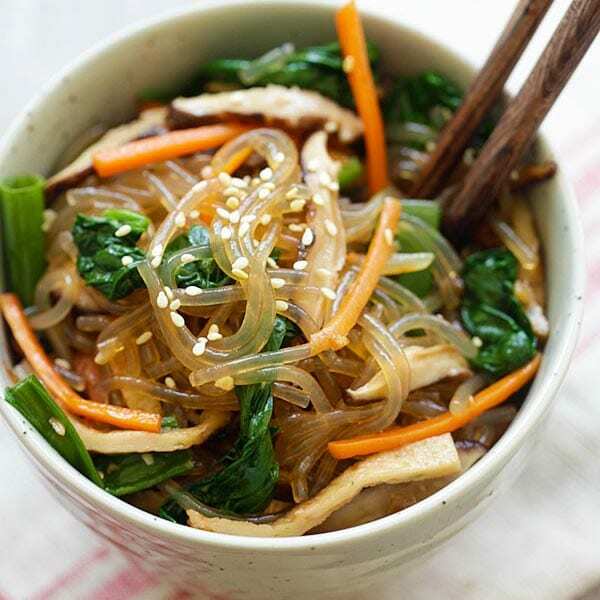 I love the springy and chewy texture of Japchae noodles, which are made from sweet potato starch. This dish is vegan and vegetarian-friendly. Sweet potato noodles are fatter and tougher, so soaking in water won’t get you the desired results. I always boil the noodles in hot boiling water for 5 minutes, drain and cut into shorter lengths. Traditionally, the noodles are mixed together with the other ingredients by hand. For ease of cooking, I always make the noodles in a skillet. For extra flavors, you can add beef bulgogi or Korean fish cakes to the dish. 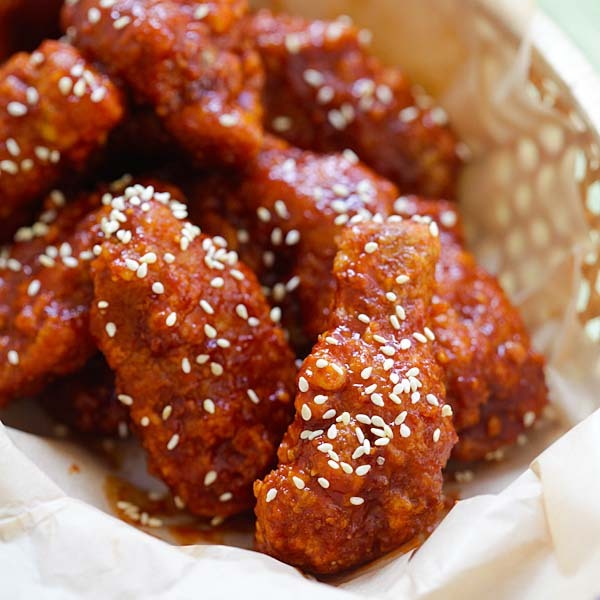 For a wholesome Korean meal and easy weeknight dinner, I recommend the following recipes. Japchae or chap chae is a popular Korean noodle dish made with sweet potato noodles. Learn how to make japchae at home in 30 minutes. Easy japchae recipe. Cook the sweet potato noodles in a large pot of boiling water for about 5 minutes. Drain the water and rinse the noodles under cold running water. Cut the noodles using a pair of scissors into about 6-inch lengths. Set aside. Heat up a pot of water and bring it to boil. Blanch the spinach until they are wilted, about 1 minute. Drain the water and rinse the spinach under cold running water. Form the spinach into a ball and squeeze it to discard the remaining water. Cut the spinach ball into half. Heat up the oil in a skillet or wok and add the garlic, onion, mushroom, and carrot and cook for about two minutes. Add the scallion and stir-fry for another minute. Turn the heat to low and add the noodles and spinach into the skillet or wok, follow by the sesame oil, the Sauce, and salt to taste. Stir to combine well. 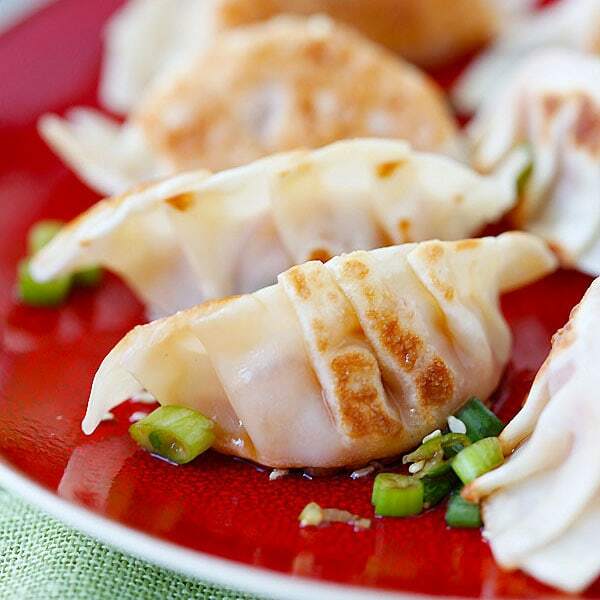 Dish out, sprinkle with the sesame seeds, and served at room temperature. The japchae noodles can be found at Asian supermarkets. They are usually labelled as sweet potato noodles. I love Korean food so happy to see this japchae recipe. I don’t think I can find this noodles where I am. What else can I use. If you can’t find it, you can try using glass noodles, but the texture won’t be the same because glass noodles are thinner. Great photos. I love japchae too. Looking forward your Korean recipes. Thanks Sooyoung, coming from a Korean, it means a lot. I am glad that you love my japchae recipe. Lingzie, sounds great. It’s super easy to make. Can you get the noodles in Penang? Your japchae looks beautiful. I like how you made it in simple way. I think it will be perfect for those who wants a quick and easy method of making japchae. If I can comment one thing; Add ground black pepper at the end. Black pepper is one of the key seasoning along with soy sauce, sugar and sesame oil. Look forward to seeing more of your Korean creation. Have a fun! Do you have to use sesame oil ? Is it possible to substitute it for some other oil? Been looking for this recipe for a while. Can’t wait to try this out! Any recommendations for substitutions for soy sauce in recipes for people allergic to anything soy? You could use tamari? I haven’t used it myself, but have seen it as a substitute for soy sauce in Japanese cooking, so figure it would work here. I have found Bragg’s Aminos to be a great non-soy alternative for soy sauce. You can find it in most health food stores and many supermarkets. Tried this today – it was pretty good. I little bit on the sweeter side, but adding a squeeze of lemon right before serving makes it perfect. Thanks for posting this! May I know, what brand and type of soy sauce that you use?? I’m trying the Japchae recipe but couldn’t get the right taste for the soy sauce. This Japchae recipe looks simpler compared to the one I tried before. Going to try this soon! Have tried your zuchinni and shrimp stir fry. Husband loved it! Thanks! I finally tried making Japchae after seeing lots of K-dramas mentioning it. It was simple to make and sooooo delicious! Thank you! Thanks for trying my Japchae recipe. I worked with a lot of Koreans who were always friendly and eager to share their food. I love the Japchae they shared with me. The other day I found your recipe and tried it. OMG! Amazing! it came out fantastic. My only problem now is, I’m always being invited to parties because of my Japchae . My social life has improved dramatically! It’s better than having a pool. Thank you! This Japchae recipe turned out perfectly. I can only assume you test, test and re-test recipes before you post them. I have never gone wrong following your recipes! Thank you! Hi Shawn, thanks so much for your sweet comment. I only cook my recipe once and share them, I don’t re-test. Thanks for sweet words, you have made my day. So glad you enjoy my recipes! Im ethel the one who your folllower im glad to see your recipe in your blog im so blessed to learn more how to cook korean food, i love korean food so much…thank you to share your recipe.. YES! I’ve been buying this dish from a Korean restaurant in London at least once a week. I even asked them about the noodles and how they cooked them because I loved them so much. Then I found them in a Korean food store directly opposite. I’m so excited that I’ve seen this recipe and I can now make my own.!! Hi Alana, that’s great, it’s very easy to make! This was a hit! This so far -is the simplest but the best recipe I have ever tried! Thank you! I never have to order it for take out again when I can make one at home that is just as good ?? I have made this recipe multiple times. I double the recipe and sometimes add Korean style meatballs.My family of 4 loves it. Thank You! Awesome thanks Tina for trying my Japchae recipe! I love japchae noodles too, it is really wonderful! But why I can not read your recipe, i dont see it appear in this post. Ellen, my recipe is where it says GET RECIPE. Tab or click on that and the recipe is there. 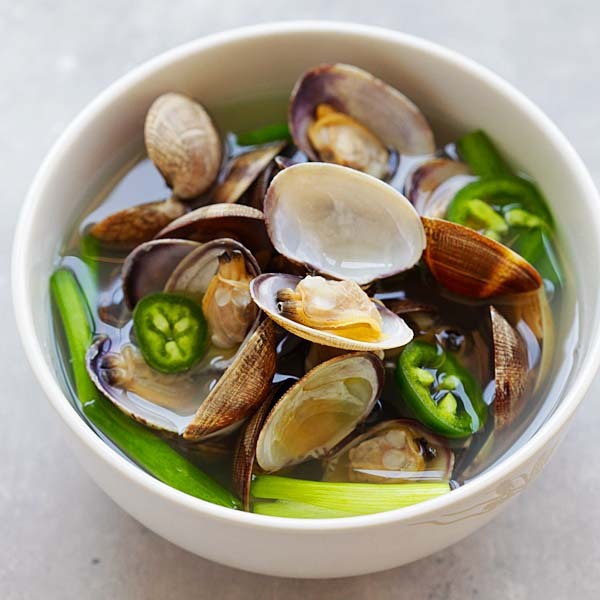 I’ve made this recipe before and specifically remember the sauce ingredients use to include oigatsuo tsuyu soup base to add depth of sweetness. Now it’s only soy sauce and sugar??? What happened? I have two recipes. You can use oigatsuo tsuyu to add flavors. Most people don’t have tsuyu so I simplified to soy sauce and sugar.